Do you want to organise a party where you and your colleagues will have a blast? Is the idea of shooting your boss one that you can’t resist? 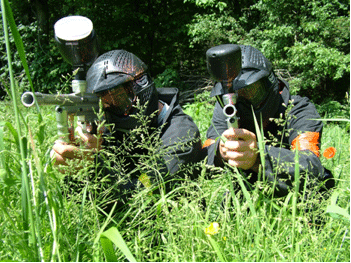 Come to any of our amazing paintball centres and live out your wildest dreams! With 20 years experience in organising office Christmas parties we couldn’t be better placed to fulfil all of your requirements. Your Christmas parties will never be the same again. And if you don’t manage to shoot the boss this time you can always come back for a second round in the New Year. To book your Christmas party, just give our friendly booking office a call on 1300 850 744 and we’ll do the rest. Remember, it’s all the fun of the army without the haircut!